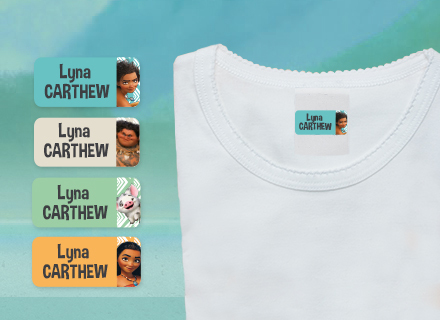 Embelish your name labels and your name tags with heavenly designs from "Moana" Disney's motion picture. 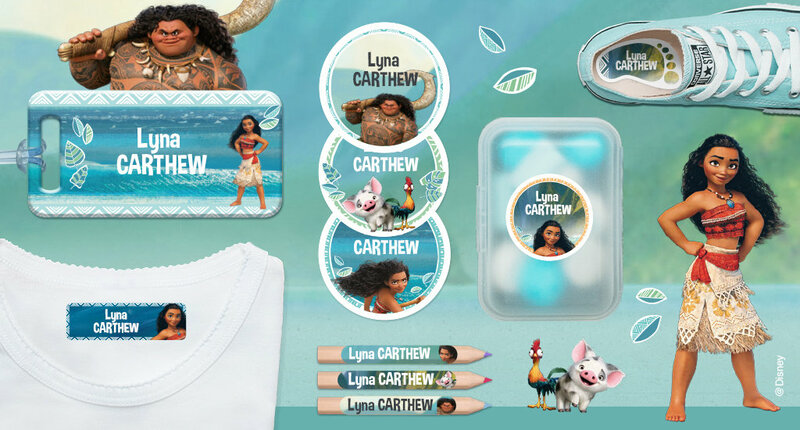 Characters from Moana are available on every following personalized products : round, rectangular, shoes, mini, iron-on, stick-on name labels, on almost every value packs and on bag tag. 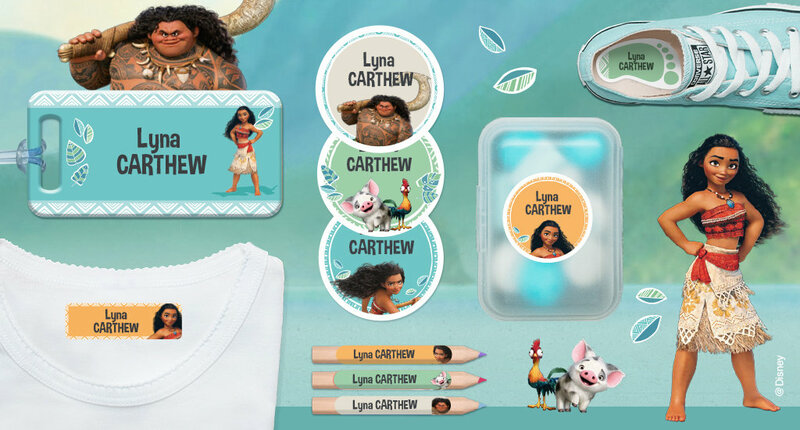 Choose your style from a large range of colors and fonts to customize Moana name labels. 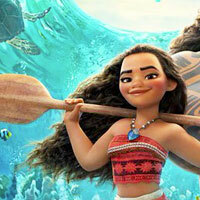 Moana is a young girl from the South Pacific ocean islands and a talented sailor, who decides to go and look for a mysterious and fabled hidden island. 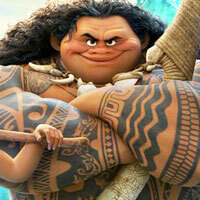 All along this perilous trip, she will meet and team with her idol, the legendary semi-god Maui. 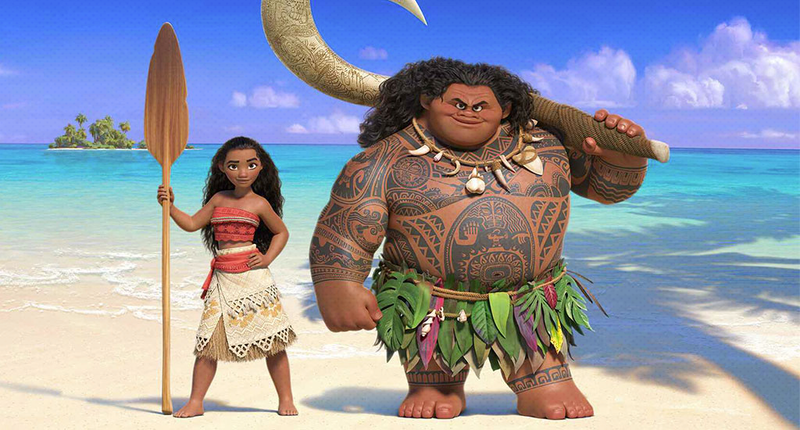 Together they will cross the seas to complete a great epic journey full of marine creatures, breathtaking underwater worlds and also full of old traditions and myths... Moana as a noun means in maori language: "sea, ocean or a large lake". 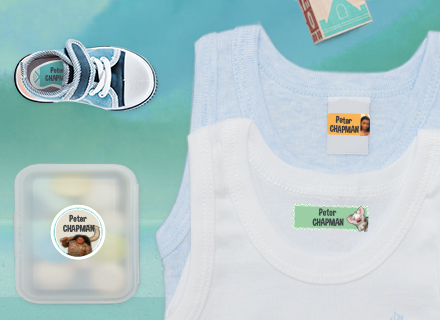 A bestseller item to apply name tags on the clothing of children and adults living in communities! Easy to apply with an iron and last a long time. 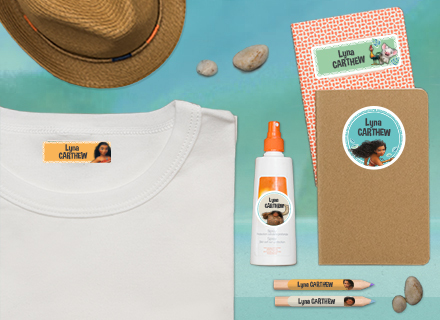 A cute clothes name sticker to tag shirt, pants, underwears etc. 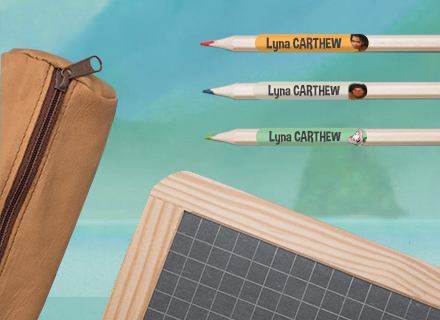 Easy to apply on brand or composition label. Resistant to washing and drying. A solid tag to identify your luggages and bags with your contact information (name and address) and go for a trip with a peace of mind. 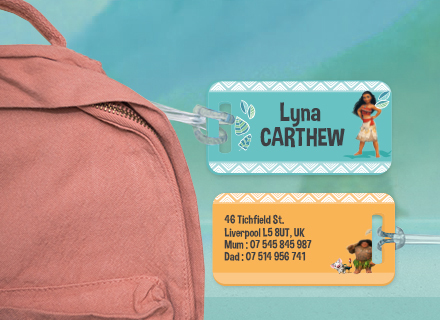 Moana's bag tag is an invitation to holydays ! A lot of options, from classic designs to Disney's, so every ages are served. For my 4 years old daughter i've chosen Frozen and for my 2 years old one my choice was Minnie! They love it so much !